New trails are being added, so keep checking the page. And…just for fun, why not try a treasure hunt? 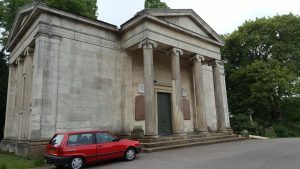 York Local Link recently featured the Cemetery in its regular Treasure Hunt feature. We thought it would be good to publicize this so more people can try it out while enjoying a walk around our beautiful grounds. So here it is, slightly amended so it’s a bit more user-friendly. 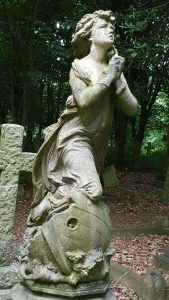 We would love to know what people think about the Hunt and about the Cemetery in general. Please leave comments on our Facebook page or email us. We start by the main entrance off, appropriately, Cemetery Road. Head to the immediate right, passing the toilet block. As you walk, check out the headstones. * Opposite the pond, in which year did John Usher die? * What couple, on your right, invites us to “So sing as well”? Just after the first left turn, cross the grassy area diagonally, heading for a worn path along some trees. Keep an eye out for a gravestone with 15015 on the back (the side facing you). This marks the cemetery’s first ever burial, but..
* Where was the occupant from? * Who was born 19-11-28? * Why is Charles Robinson’s memorial different? * Whose remains are interred in Vault 6 “beneath this portico”? 5. Turn around and walk along the long path heading directly away from the chapel. * On your right, just before you reach the compass, who was Benjamin Gray’s wife? * On your right, just before you reach the end of the path, who died “after a few days illness” in 1877? 7. Turn right, following the curved path. * Whose large slate headstone looks like an object featured in 2001: A Space Odyssy? 8. Turn to the right, onto the path heading toward the short steps, and go up them. Keep on the path straight ahead. * At the first group of angels, a grand statue guards Solly’s wife. What was her name? 9. Keep moving forwards, towards the next small group of stone angels. 10. Turn left here onto the next path, which stretches on beneath overhanging tree. * On your left, how old was William Richard Allison when he died in 1918? 11. Continue on this path. Turn left onto the path where you can see a pergola at the end. Head toward it. * Private E. R. Walton was a part of what interesting-sounding army battalion? * And, as you approach the pergola, look up. After who was it named? * On the left, slightly off your path, where was Albert & Eugenie Till’s son interred? 13. Continuing on the path you were on, you will pass a huge grey marble cross, on your right. Turn left and keep walking. * Why is Chad Martel’s headstone on the right different? * Look for the sun on a headstone on your left. What do the occupants wish us to ‘take time to see’? 14. 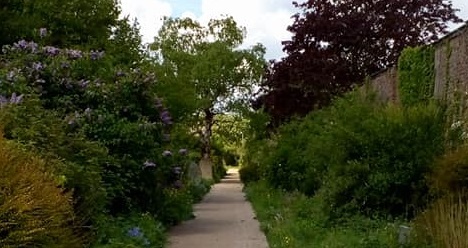 Turn left onto Butterfly Walk, the long wide path running along the cemetery’s perimeter wall. * On your right, who had children called Zhooki and Nina? * Close by, on the opposite side, which sculptor gets a finely sculpted Column as his memorial? * On your left, where was Thomas Cooke born? * Look at the plaques on the wall opposite the path leading to the Chapel. Whose ‘great generosity enabled the Trust to restore all major pathways in the Victorian grounds’? * Who was a loving husband of Betty’s? Well done, job done. 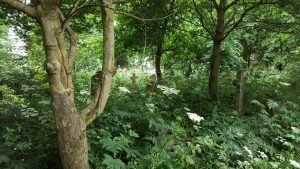 York Cemetery is a great place for a wander, and if you’re there on a Friday, the Genealogists are in the Gatehouse between 9.30 am and 3.30 pm. They’re always very keen to help you if you want to find a particular grave. 1: 1904; Janet & Alwyn Fletcher. 2: Heworth. 3: Thomas C. Stobbs; huge column of eroded stone. 4: Mary Hands. 5: Elizabeth. 6: Mary Jane Wright Marsh. 7: David Brian Slater’s. 8: Freda. 9: Bertha Ross. 10: 50. 11: Northern Cyclist Battalion; Margaret Grant. 12: Tacoignieres, France. 13: It’s a huge lump of rock; the woods. 14: Natalia Nikolayevna Thompson; John Atkinson. 15: Allerthorpe; Dorothy & Ronald Alfred Hanley. 16: Jack Page.